Blog Alpine Shredders Once Again Introduces a First! Alpine Shredders Once Again Introduces a First! 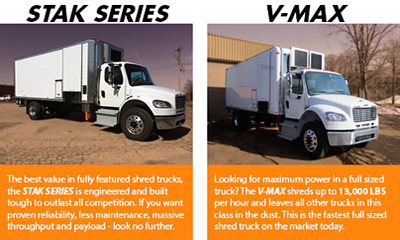 Kitchener, ON, May 12, 2014 – Alpine Shredders Limited is pleased to introduce the industries first shred truck powered entirely by cleaner burning compressed natural gas…the 720 STAK CNG. The Peterbilt 382 chassis is powered by a Cummins Westport ISL G engine offering power characteristics similar to diesel engines while operating on a lower cost and lower carbon fuel. “Leading through innovation has always been our strength. The opportunity to develop the first CNG shred truck was a perfect fit for Alpine”, states Peter Viveen COO of Alpine Shredders Limited. CNG is domestic, abundant, and on average about 50% less expensive than diesel. In fact, according to the U.S. Department of Energy, over 90% of the natural gas used in the United States is domestically produced. CNG is the cleanest burning fossil fuel, which means less engine maintenance and longer engine life. The U.S. Environmental Protection Agency certifies CNG usage can result in up to 30 percent less greenhouse gas emissions. Additional benefits include quieter engines and simplified emission systems. From a financial stand point, CNG is a real winner too especially with available government incentives. “Although initial price is higher, the ROI with CNG fuel is recovered after a couple years and then you enjoy further cost savings for the life of the vehicle,” said Guy Wakutz, Sales Manager at Alpine Shredders. Current national average price of diesel is $3.98 a gallon while CNG diesel gallon equivalent is $2.10. 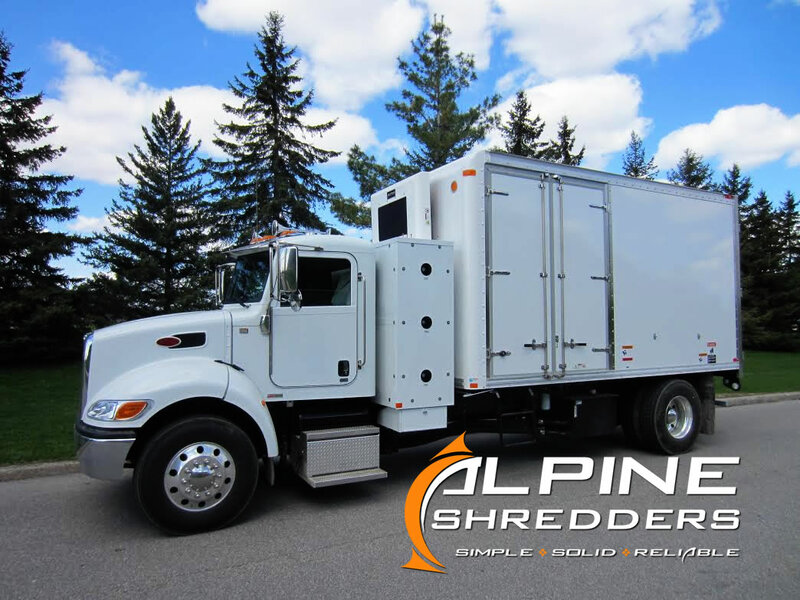 Alpine Shredders Limited is the leader in the design and engineering of mobile shredding solutions since 2004. Equipment built with maximum efficiency and ease of service is the operational advantage businesses receive with an Alpine shred truck. Simple, reliable and built to last with hundreds of local service providers make Alpine the clear choice for professionals servicing the secure document shredding industry.